Weekend Warrior: Nathan MacKinnon - The Point Data-driven hockey storytelling that gets right to the point. Our Weekend Warrior, awarded the the player who had the biggest game during the weekend, goes to Nathan MacKinnon, who was dominant in Colorado’s 4-3 overtime win Sunday night. MacKinnon had a goal and two assists but that only scratches the surface regarding how much he controlled the pace of play. MacKinnon finished the game with 14 controlled zone entries, a season-high for him. Only 5 players have had more in a game this season. MacKinnon’s ability to transition the puck into the offensive zone is one of his greatest assets and he set up the game-winning goal doing just that. What you’ll also notice on that play is MacKinnon’s patience with the puck in the offensive zone. The reigning Hart trophy finalist had the puck on his stick for 1:47 in the attacking end last night, also a season-high and again, only 5 players have had it more in a game this season. 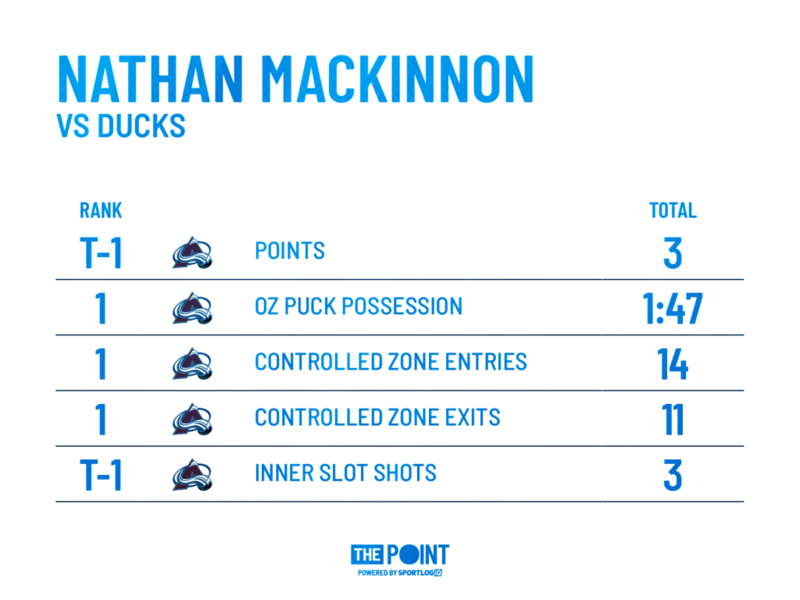 MacKinnon also finished with a season-high 3 shots on goal from the high-danger, inner slot area including his powerplay goal in the 2nd period, which cut the Ducks lead to 3-2. Anytime a player of MacKinnon’s ability is setting multiple season-highs in key performance indicators a month and a half into the season, you know it was a big game. 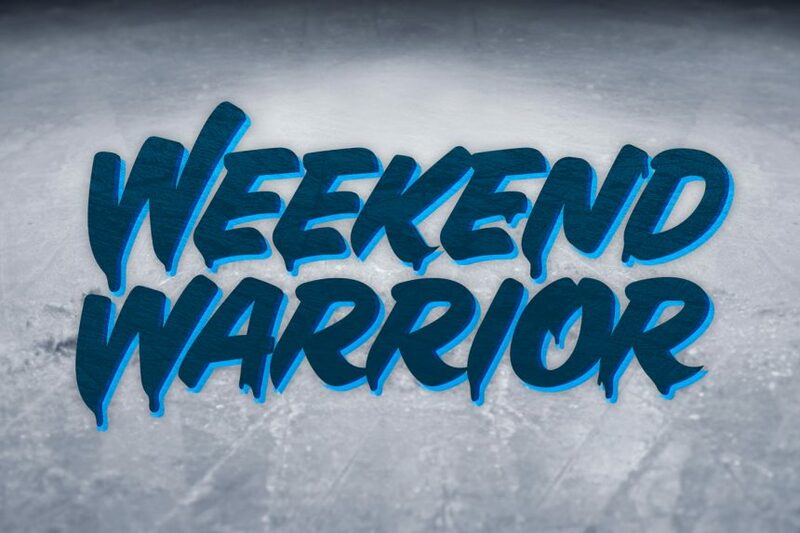 For that, Nathan MacKinnon is our Weekend Warrior.